If you find yourself despairing of the condition of literature today and if you sorely miss Shirley Jackson and M.R. James, you're in luck, dear readers. We now have Gina Ranalli. 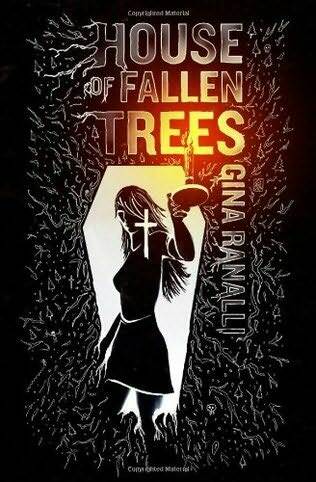 Ranalli's House of Fallen Trees begins with the enigmatic sentence, "Two men have the carcass." How can you not immediately love a book that begins like that? The story is about Karen Lewis, a young reclusive writer who inherits half a Bed & Breakfast in Fallen Trees, Washington when her brother, Sean, missing from that same town and is presumed dead. The other half is owned by Rory, Sean's openly hostile partner. Karen flies across the country to visit this B & B, only to find that she must hike in to get to the place--there is no passable road. For a Bed & Breakfast? And that is only the beginning of the strangeness. In this book, peopled with beautifully drawn three-dimensional characters and rich description, there are beasties, ghosties, and some downright freaky happenings--all of which Ranalli handles so deftly that reading her words is to the mind what fresh chocolate fudge is to the palate. I never wanted it to end, and read many paragraphs multiple times, just to enjoy their dark beauty repeatedly. Creepiness abounds, incidents escalate, and Lewis begins to feel that she's losing her sanity. She very well could be. Ranalli keeps the reader from knowing without seeming to withhold and so we are all as on edge and as off balance as the main character. Delicious! She packs so much story into such a brief book that it is nothing short of amazing. The characters are voluntarily isolated by visiting the house. But when they try to leave, isolation becomes enforced and they must find a way out. Haunted house stories abound. Good ones are hard to find. Brilliant ones are as scarce as Spock ears at a romance novelists' convention. Aren't we all fortunate that House of Fallen Trees adds one more to the megaclassics of the genre--Ghost Story, The Haunting of Hill House, "Oh, Whistle, and I'll Come to You My Lad," and The Shining. This is one you'll want to add to your "favorite books" shelf--I promise you. 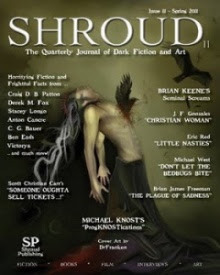 Carson Buckingham is a writer living in the great American Southwest and she reviews horror/paranormal suspense novels.